Saint Joseph Catholic School is a “family of families” committed to preparing our children to become lifelong learners and Christian stewards. At Saint Joseph Catholic School, faculty/staff, parents and the entire parish community are collectively dedicated to providing a faith-filled Catholic education that fosters the growth of the whole child. Through developmentally appropriate academics, we facilitate social growth in a safe environment and inspire self discipline, personal responsibility, love of learning and compassion for others in the world. We believe that each person is a child of God deserving of respect. We believe that faith formation is a continuous collaboration between the school, family, and community. We believe instruction and assessment must provide for the diverse needs and abilities of all students. We believe that students learn to participate in the global community by serving the spiritual and social needs of others. We believe in continuous improvement through research, ongoing education, and implementation of best practices. Grades K – 2 version: St. Joseph Catholic School is a family that helps us learn and grow as Christians. 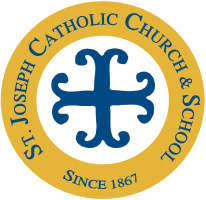 Grades 3 – 5 version: St. Joseph Catholic School is dedicated to our faith, education, and families. We provide a safe and loving atmosphere for all who enter our school. 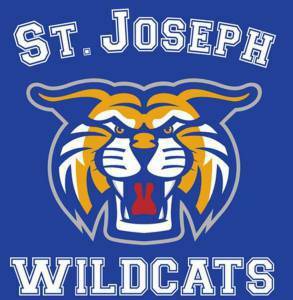 Learn more about St. Joseph Catholic School on our website.